Even just one workshop can help your organization address and manage caregiver stress. Are You Sensing A Need For Caregiver and Parent Support In Your Organization? Have you noticed members of your workforce or clientele struggling with responsibilities related to being a new parent or caregiver? Are you an administrator in the care profession who receives a number of concerns related to caregiver stress or burnout? Or, are you in another leadership role—either an administrator in a school, human relations professional or coordinator for a new moms or dads group—looking to help your team overcome stress? If members of your organization seem to be struggling with caretaking responsibilities, either as a professional, individual or new parent, it’s common for motivation and focus to suffer. For example, many new parents return to work, perhaps before they are ready, just to maintain their employment status. In addition to struggling with postpartum anxiety and depression, they might be torn about where to dedicate their energies and feel stretched far too thin. You may be surprised to learn that 50-80 percent of new mothers struggle with what’s considered the “baby blues.” 15-21 percent have postpartum depression, according to Dr. Shoshana Bennett’s research in the Six Prenatal Mood Disorders. Anxiety, depression and other health issues are also very common among caregivers—both professionals, such as nurses and nannies, and in-home caregivers tending to their loved ones. Caretakers often become so wrapped up in their duties that they neglect their own self-care, which can negatively impact mental and physical health. In fact, according to Caregiver Action, 23 percent of family caregivers report poor health. Trying to find the balance between work and life is always challenging, but add the stress of caretaking or raising a child, and individuals can become completely overstressed, and maybe even experience compassion fatigue or caregiver burnout. As a leader in your organization, you may want to provide ways to manage stress and improve overall functioning and health. You want the individuals in your immediate circle to be happy, healthy and able to perform the functions of their roles to the best of their abilities. The good news is that really practical ways to address these concerns are available. Even with just one workshop, your organization can locate areas of improvement and attain practical guidance toward solutions that improve your team member’s wellbeing, communication skills and productivity. At GreenT Psychology, I offer a number of caregiver support and parent trainings. These trainings can last three hours, round out an afternoon or span an entire day, or they can be ongoing, building from one session to another. Together, we can assess your needs and create a tailor-made training that addresses your organization’s unique concerns thoroughly, with both practicality and compassion. Caregiver support and parent trainings can be incredibly effective in providing your team with the knowledge, insight and tools needed to promote more balance. These trainings are designed to help everyone involved become more effective communicators and collaborators. Your organization can become familiar with the effect care-taking has on emotional and physical health. I can also provide tools to lessen the toll so your members can engage actively and eagerly. The groups here are small so that every member has the opportunity to voice their concerns and be heard. With openness and empathy, we explore and breakdown the multifaceted pressures that contribute to the struggles your organization face. Examining the ways in which your team members are currently coping with stress and replacing unhelpful patterns with new, healthier options. Exploring basic self-care, like sleep, exercise and eating in order to create an agenda for better health. Challenging negative thinking that fuels anxiety, depression and low self-esteem. As your group leader, I draw from a rich background in helping caregivers manage stress. 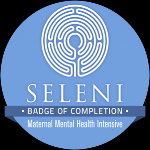 I hold specialized trainings in maternal mental health from the Seleni Institute and from Postpartum Support International. I also have a multitude of experiences helping caregivers and clients with chronic illness live full lives. Regardless of the issues your organization is dealing with, your team members can walk away with the confidence and insights needed to feel, communicate and function better as individuals and as a unit. With everyone’s hectic schedules, I’m not sure there’s time for this. These groups are very flexible, to accommodate and respect everyone’s schedule. Although scheduling may seem frustrating right now, in the long run, applying what you learn here can improve productivity overall, making everyone feel less pressed for time. Everyone’s experiences are different. How can the workshop benefit us all? Everyone’s experiences are unique and valid. With that being said, the tools I provide here apply to a variety of stressful situations and needs. And, if your group would like to build on the communication and stress management skills they develop in the group, I can provide additional workshops to continue the work and strengthen the foundation we laid before. Individuals are also welcome to speak to me about receiving additional one-on-one support. I have doubts that a workshop will significantly impact my members who are struggling. The tools that I provide can be invaluable. If folks consistently put these tools into practice, they can expect to see results. Ultimately, providing your team with the ability to better manage stress will improve operations overall.